Memory is a wonderful phenomenon. I’d like to discuss two research studies that are relevant to anxiety sufferers. Believe it or not, they suggest morsels of memory can be altered or deleted, just like a file on your computer. This stuff is amazing. Dutch neuroscientist, Merel Kindt, Ph.D., and his research team, discovered a small window of opportunity during which long-term memory can be altered. It’s possible because it’s at the moment when a protein synthesis dynamic takes place that actually burns a memory upon our minds. This time frame is referred to as a “labile state.” And the very cool thing is, another window of opportunity for alteration presents when a memory is being retrieved. It’s with this labile state Kindt and his team intervened. One day after ensuring his research subjects acquired a specific fear of spiders the team planned on reactivating the fear stimulus. But, moments before the reactivation, selected subjects were given a dose of the beta-blocker, propranolol (Inderal). And when the fear stimulus was introduced the subjects who’d received the propranolol didn’t present with a fear response. Go figure. That means the fear memory was either completely erased or lost somewhere in space. Regardless, it just wasn’t there. It’s relevant to note that in working with the anxiety disorders, traditional psychotherapy focuses upon creating new memories. Kindt’s work, however, suggests an emphasis on weakening existing emotional memory. 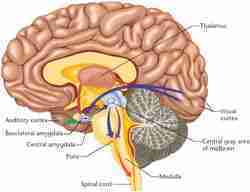 By the way, the fear response studied was generated by the amygdala. How ‘bout this? Joe Z. Tsien, Ph.D., and his team from the Brain and Behavior Discovery Institute at the Medical College of Georgia, conducted some amazing research. Seems they figured out a way to rapidly and specifically erase short and long-term memories in mice. Tsien and his team suggest memory is a matter of four distinct stages: acquisition, consolidation, storage, and retrieval. In their work, they incorporate existing research, which has identified specific molecules and events that appear to play a role in the various phases of the memory process. One such “memory molecule,” calcium/calmodulin-dependent protein kinase II (CaMKII), is an enzyme that has been linked to multiple aspects of learning and memory. Dr. Tsien and his team found that over-expression of CaMKII at the time of memory recall impaired retrieval of newly formed one hour recognition and one month old fear memories. Noted was the fact that the alteration wasn’t as a result of a blockage of the recall process itself, rather a very rapid revision of stored memories. Cooler still, the intervention only occurred in the memories being retrieved, leaving other memories intact. 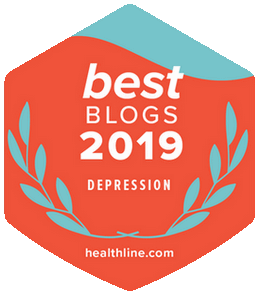 Imagine the impact; and think about the implications of these two pieces of research for sufferers of generalized anxiety, panic disorder, social phobia, specific phobias, posttraumatic stress disorder, obsessive-compulsive disorder, and then some. I mean, selected emotion/fear memories can be altered or deleted, without harm to existing memories or brain cells. That’s incredible. That’s okay, Doc. At least the likes of Merel Kindt and you are trying. 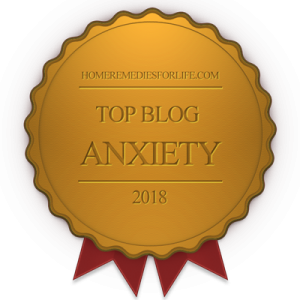 Next Post: Anxiety and the Quest for Perfection: Fuhgedaboudit!